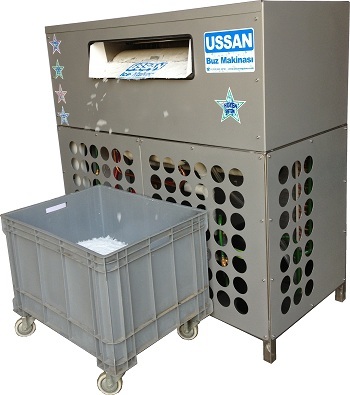 Ussan ice machine is one of the essential refrigerating machines used for ice production in fish farms. 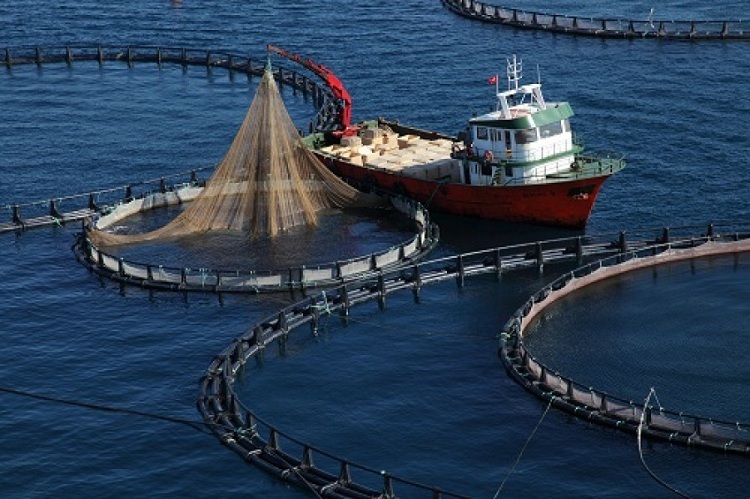 Ice machine is used for production of fishes such as bream, bass, etc in saltwater fish farms. It is procured that the fishes are deep-frozen and killed by being waited in icy sea water in the fish buckets after the harvest. Afterwards, flake type ice is applied to down surfaces and top surfaces of the fishes in styropor boxes. The icy fishes are prepared in the isolated boxes for the shipment. 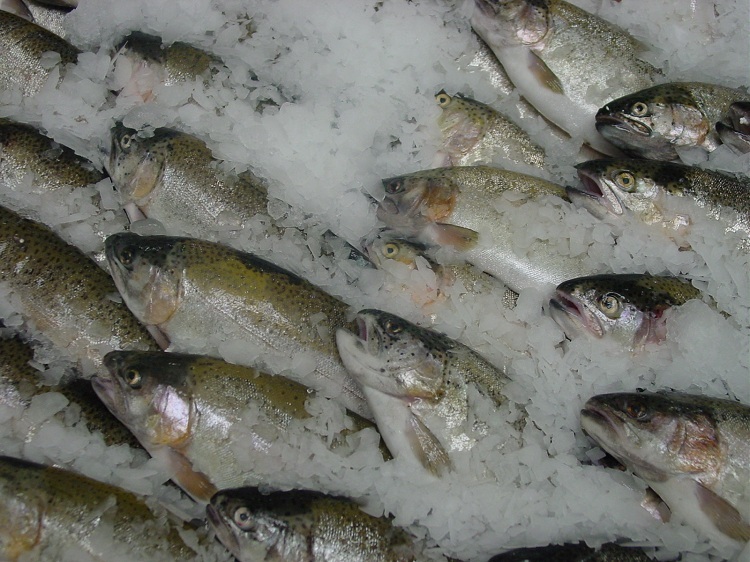 However, there is ice also in the fish handling facilities. 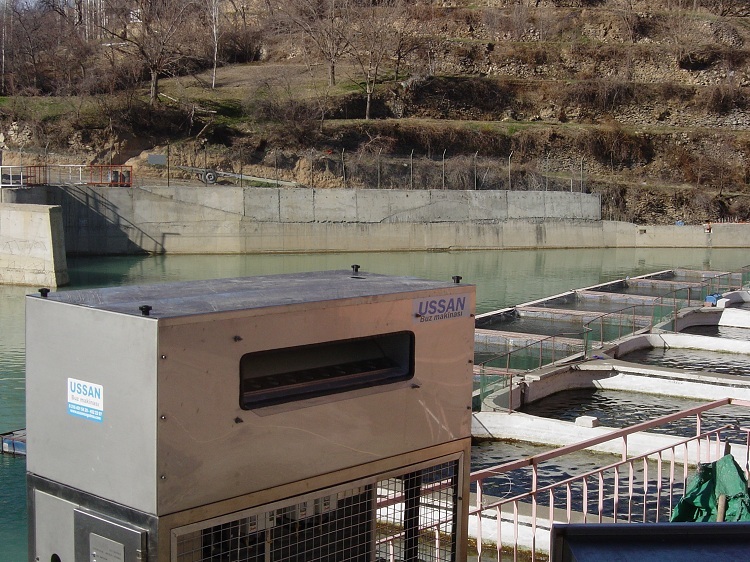 After fish harvest in the facility, the flake ices collected in the ice stores are used in fish handling and afterwards use of ice machine takes place extremely important place in also the trout farms for both fish deep-freezing and fish shipping.